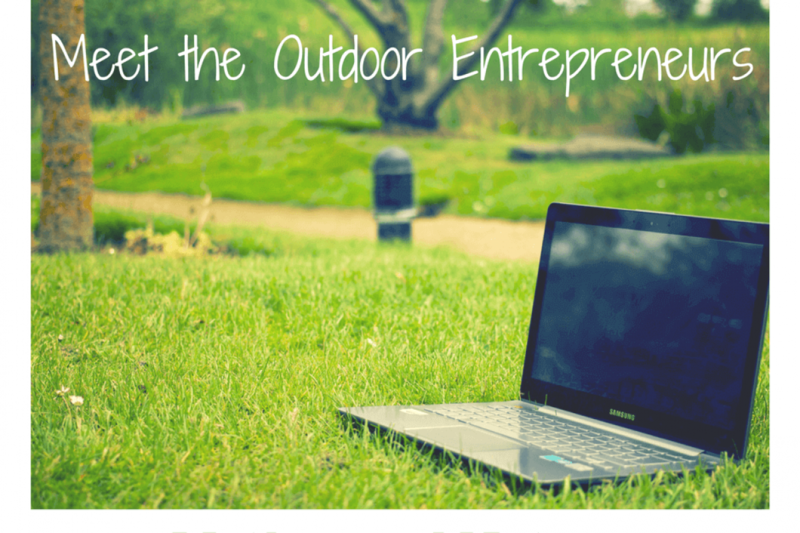 Welcome back to another edition of Meet the Entrepreneurs, the series where I delve into the stories and personalities behind some brilliant outdoor brands. Hopefully you caught my last one with Finán from Campsited and today I have another fantastic interview lined up. This week’s is very special to me as I’m featuring a fantastic small business that I am actually going to be working with over the next few months. 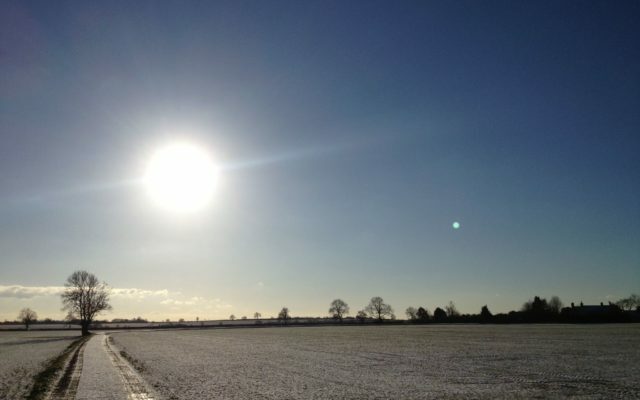 Once I found out I was pregnant, (and I’d dealt with all the boring stuff ,doctors, appointments, sorting work etc), I set about looking for some comfy outdoor clothes. This time around I started showing earlier than my first pregnancy (not to mention the fact I’m a size bigger to start with) and I knew that I was going to need some proper fitting maternity wear very soon. Luckily I remembered coming across the perfect solution! I’m Samantha Jenkins, owner and founder of Mother & Nature, the UK’s first range of outdoor maternity wear. 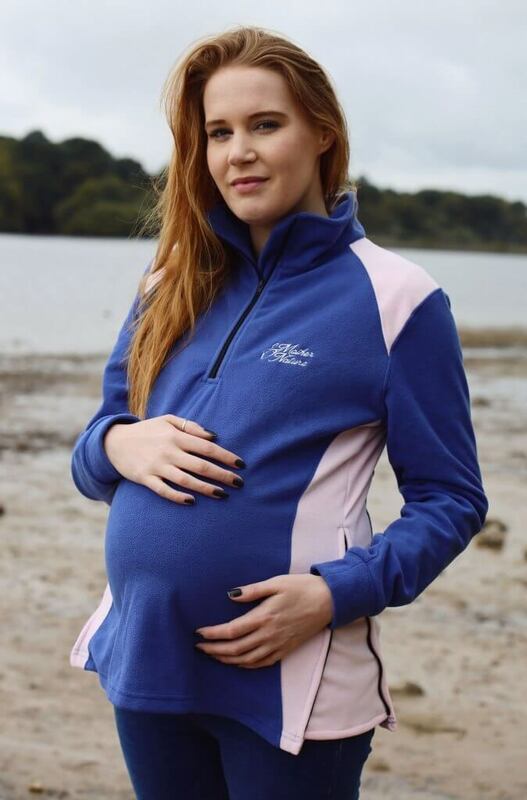 I started the company after being pregnant and looking for outdoor maternity wear, and not being able to find anything suitable to wear when I was still getting out in the Lake District while pregnant, so I decided to do something about it! 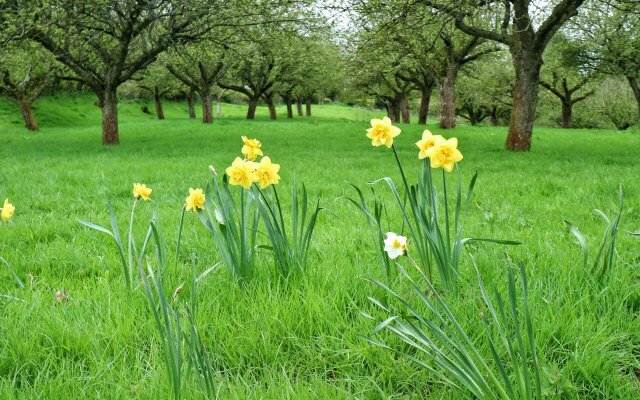 Have you always loved the outdoors? 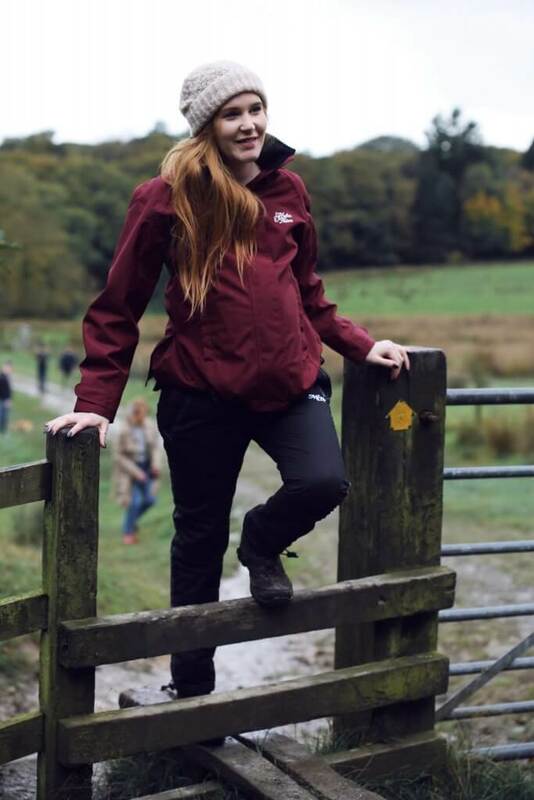 Yes I’ve always loved the outdoors, from having a horse at an early age and always being at the stables, to then a few years later starting to enjoy getting out walking and camping in the Lake District. Where did the idea come from? How did your business start? When I was pregnant I still tried to have an active pregnancy, I carried on going walking, and as my bump started getting bigger and clothes didn’t fit. I started looking for a maternity waterproof jacket and maternity walking trousers, and was very shocked to discover they didn’t exist! I knew then I’d found a gap in the market, surely I wasn’t the only person to be looking for these maternity items. It was about 3 years before I did anything about it, but I was always thinking about it and researching to see if anything had been launched in the mean time, but it never was. What has been your proudest moment in business so far? 1. Seeing the first samples of the clothes was an amazing feeling, seeing my designs come to life and knowing that this idea and dream I had were really going to happen. 2. Being featured in Lancashire Life, (as a proud Lancashire lass), it was great to see myself and my range in the publication. 3. 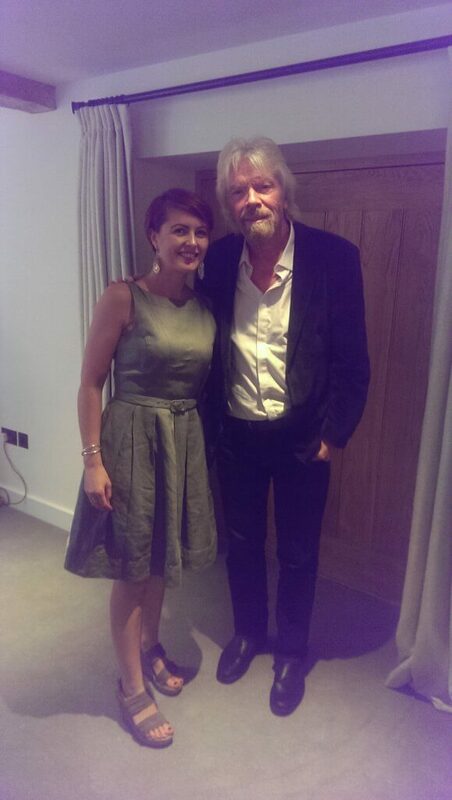 Meeting Richard Branson – I had a start-up from Virgin Start-ups, and then got chosen to be a Brand Ambassador for Virgin Start-up loans, and got invited to his house for an event, and had a workshop with him and my picture taken! As maternity wear has a limited lifespan, and a lot of women don’t want to spend money on clothes which may have a limited lifespan, so I had to find a way to overcome this. So I came up with the idea of the expandable side panels, this means the clothes grow with your bump, then can reduce back down after baby has been born, so you get years of use rather than months out of the range, so it’s totally cost effective. Is there anything you’d do differently if you started again? I’d maybe have spent my marketing budget a bit differently, it’s so difficult knowing what to spend money on and what’s going to work to reach the people you’re trying to, and maybe have got an expert in to help with the social media, rather than trying to do everything on my own. What’s your best tip for budding entrepreneurs? Always do lots of research, make sure you know as much as you can and especially your competition, not just to see what they’re doing, but maybe what they’re not doing that you maybe could, whether that’s to do with the products, or the service they offer their customers. The range currently includes a coat, fleece and trousers, but there are plans to introduce more products. Do you have any business heroes? Is there anyone who has especially helped you along the way? My business mentor Kirsty McGregor has been a fantastic help, especially in my first year of business, it was great having someone to go through ideas and plans with, and we’re still in touch now. Also Richard Branson (I have to say), he’s built success from nothing, plus I’d love to visit Necker Island! I would like to have expanded the range, and have a few more items available, gilets, walking trousers that change to shorts, base layers. I’d also like to see the range available in retailers, Cotswolds and Mothercare for example! That’s a difficult one, I think it would have to be my kindle with an unlimited supply of books! This is an impressive business idea, no wonder you got behind it. I love the concept. No plans to take advantage of the clothes myself though my children are grown now, but will happily promote for you both. Wish I knew about these when my missus was pregnant. It was always one thing we struggled finding. Great interview. What a fantastic idea for a new business! I remember desperately looking for half-decent outerwear during my pregnancies. I love the fact that the range can worn in pregnancy and also afterwards because of those side panels. Well done Sam and best of luck with your business! What a fantastic idea. I would have loved those expandable fleeces when I was pregnant!